How exciting meeting unknown family. 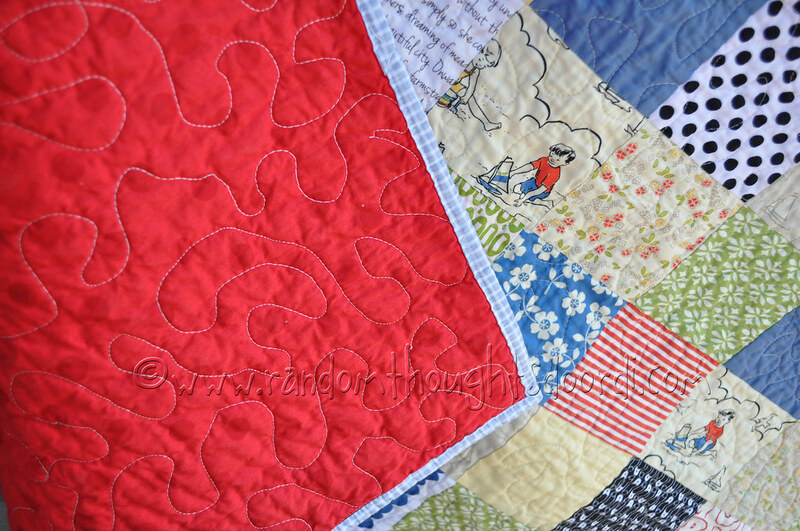 Love the colours in your quilt too. What a sweet gift for a far-off relation! I'm sure it will be loved and treasured! 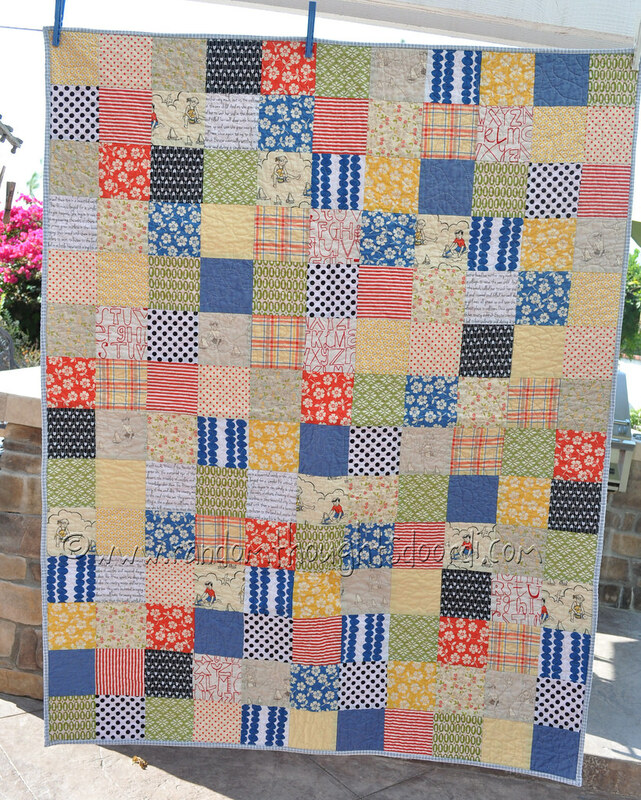 That is a lovely baby quilt, and it is so nice that you can stay connected with your family. Wonderful news about the thread too. Wow what a nice gift to give!! 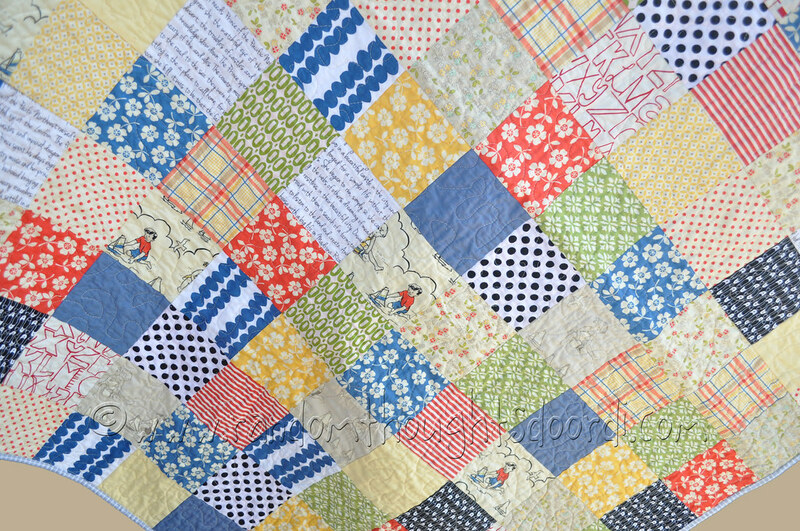 Lovely quilt for a baby boy, the prints and colours are perfect. For a moment I wondered (wildly) if you were one of the people my dad has been in contact with! He's been researching his family tree for the last number of years and keeps turning up new cousins in the USA and Australia. Unlike many people, my great grandmother moved from New York to extremely rural Ireland rather than the other way around! What a great story. I'm sure Eva and little Adrian will treasure your quilt gift. My Aunty has been researching my maternal grandfathers side in Northern England and Scotland (we are in Australia) and has found many relatives and met up with some too.